The park, car park and toilets are open dawn to dusk, all year round. 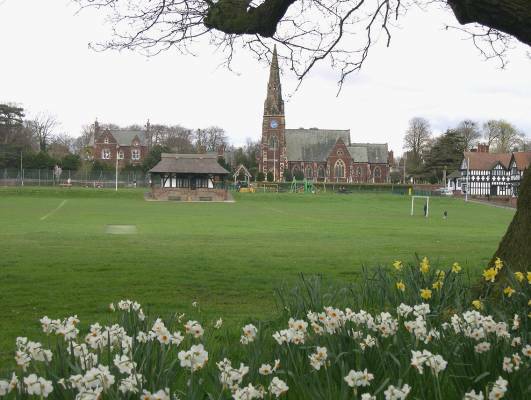 This historical area of Wirral is full of charm and history. The village green is surrounded by characterful buildings ranging from ornate red brick cottages to black and white half-timbered Tudor style terraces. It provides a venue for football, cricket, tennis, dog walking and a children’s play area, with locally organised events taking place on a regular basis. Full accessibility information can be viewed on the Disabled Go website.